One of the most bustling neighborhoods of Boston, Brighton is located just northwest of downtown right along the Charles River. Washington Street is the main road that goes through Brighton and is where most businesses, bars, and stores are located. Brighton also is easily accessible via the B branch of the MBTA green line. 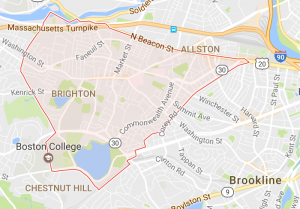 Brighton is surrounded by Allston, Cambridge, Watertown, Newton and Brookline. Tight streets and a dense population of college students and young professionals are characteristics of the Brighton area. With this, comes a lot of people that rent from landlords and property owners usually on a year long lease. With a large percentage of the population always moving, this can create an abundance of people trying to get rid of junk or old furniture and appliances necessitating a trusted, reliable junk removal company. One Call Junk Haul has been providing our junk removal and cleanout services to the neighborhood of Brighton and surrounding areas since 2011. With our past experience in the area, we can get in, get out and get the job done right, plus it is like we were never there! 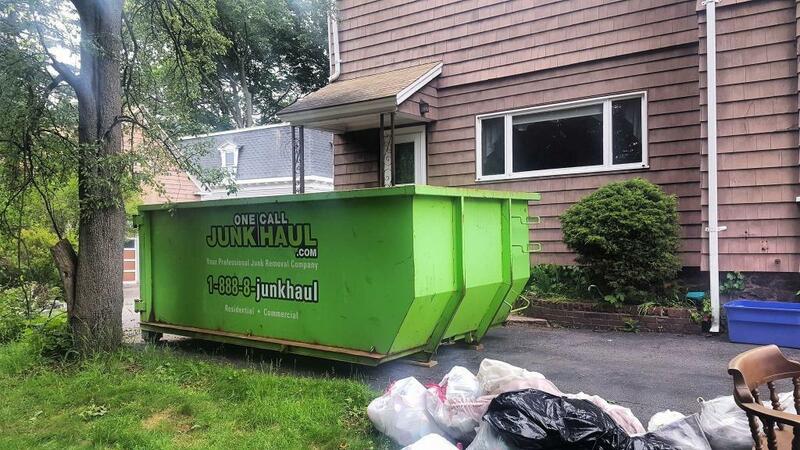 One Call Junk Haul offers residential and commercial junk removal services for the city of Brighton, MA. Our services include basement cleanouts, garage cleanouts, office furniture removal, yard removal. Contact us today for a free estimate at 1-888-8-junkhaul or click the button below to book now!